Why is modern political engagement modeled after school spirit? I recently read that legendary Indiana University basketball coach, Bobby Knight, said that the best thing about that job was how great the fans were. I couldn’t help but wonder what he meant by that. Did he mean that the fans were truly educated about basketball, the skills needed for a player to be successful and the strategy to create and winning team? Did he mean that they were the most respectful fans towards opposing players and fans? I don’t think so. If Knight has been somewhat cerebral about technique, his passion in the game would border on demonic. His on-court demeanor included throwing chairs across the court to constantly berating referees over calls, whether they were justified, not justified, or just plain ambivalent; it didn’t seem to matter. So, good fans must have meant those who would back him and the team, no matter what. He didn’t want doubters, only those who would consistently be uninhibited in their fierce loyalty to the flagship team of the Hoosier state. There are other kinds of fans at sporting events. These are the ones who rarely shout or yell. They may be quietly taking in the game, engaging in analytical conversation with friends about the game and players, or even having off-topic conversations that seem relevant at the time. On many counts, they are the “good fans.” They may not support the coaches wish for a multi-million-dollar contract extension, but they probably think that the players should be paid for their work. The conventional wisdom about “good fans,” particularly those of college and high school teams, has a striking resemblance to the common wisdom about “good political supporters.” Donald Trump has taken the hypothesis that “it’s all about the crowds,” and with a little help from FBI Director James Comey and the Russian oligarchs and spy agencies, turned it into a truism. 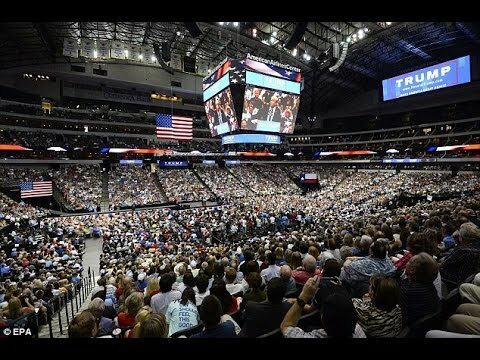 The New York licensor of vanity told us to pay attention to this crowds, not the polls. It turned out that he was on to something. This theory is not one that is solely in the domain of the right. Bernie Sanders was considered to be the most engaging Democratic nominee because he drew the largest and most enthusiastic crowds. It also turns out that he had the most thoughtful, insightful and pragmatic ideas of any of the Democratic candidates. Was it coincidence that he combined vibrant public support with well-conceived ideas, or was it cause-and-effect. It’s hard to say, although since many Democrats are more evidence-driven than Republicans, it’s possible that there is a correlation. But the primary point is that it is probably not a good idea to assess whether a political candidate is a good candidate or a bad candidate based on how closely he or she comes to attracting a crowd similar to what Bobby Knight had at Assembly Hall at the University of Indiana. Knight, somewhat like Trump, feasted off “dumbing down” his crowds, and laughing all the way to the bank. Sporting events can actually be played without crowds, but doing it that way would be unfair to those who want to watch an athletic contest up close and personal and with all the benefits of being “on scene” rather than receiving the game in digital form. Why do we need rallies in politics? What do we learn about the candidates that we can’t find out from reading the papers, watching them on television, or visiting the web sites of those few candidates who actually provide on-line substance over image? Certainly, it is necessary for members of the public to see candidates “up close and personal.” There is a vibe that is related to reality that can only be received if one is in the physical presence of someone else. But is it really necessary for candidates to go day after day, trying to draw the biggest and most enthusiastic crowds, when they are going to just say the same thing they said the day before, and the day before that, and the day before that? The problem is exacerbated, particularly in early caucus and primary states such as Iowa and New Hampshire, when residents of virtually every small town feel that they are entitled to have each candidate show up at their doorstep. If the candidate doesn’t do that, the candidate doesn’t love, or even value, them, and thus should be disqualified. When Woody Allen said that “90% of life is showing up,” he was being facetious. Political candidates have better things to do than to try to pander to every potential voter. Maybe Libertarian Presidential Candidate Gary Johnson would have known what Aleppo was had he not been numbing his brain on the campaign trail. There may not be a compelling reason for the fans of college sports to be more cerebral and less rabid. But there are convincing reasons why voters at political rallies should be more thoughtful, less rowdy, and less demanding than college basketball fans.